GLENDALE, ARIZONA – Arizona Coyotes President of Hockey Operations and General Manager John Chayka announced today that the Coyotes have canceled their emergency recall of forward Dylan Strome. 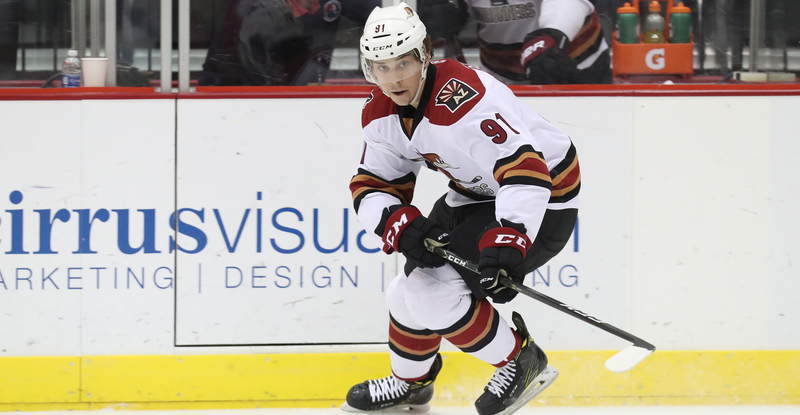 Strome has been returned to the Tucson Roadrunners, the club's American Hockey League (AHL) affiliate. The 21-year-old Strome has registered 22-27-49 and 24 penalty minutes (PIM) in 44 games with Tucson this season. The 6-foot-3, 200-pound Strome has totaled 1-1-2 in 18 career games with the Coyotes including 1-0-1 in 11 games this season. Strome was originally drafted by Arizona in the first round (third overall) in the 2015 Entry Draft.